Whether they're playing make-believe, making you smile, or warding off monsters under the bed, dads are always there when you need them. 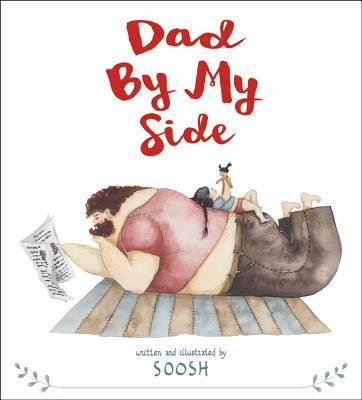 Debut picture book artist Soosh celebrates fathers with a gorgeously illustrated and moving story about the parent-child bond. Soosh is a self-taught artist who has been doodling, drawing, and crafting things with her hands her whole life. Dad by My Side, her debut picture book, began as a series of illustrations she posted on Instagram that claimed the hearts of hundreds of thousands of fans worldwide. She currently lives in Eastern Europe.